I usually hang out in Paris, in particular the Marais, when I go to France, but I was lucky enough to visit Roussillon, France and fell in love with the colours and the warmth of Provence and I have to add, being outside of a city. It took me about ten minutes to capture this door, as you can imagine, I was not the only one who took a photograph of this stunning hand painted door that hot sunny day! 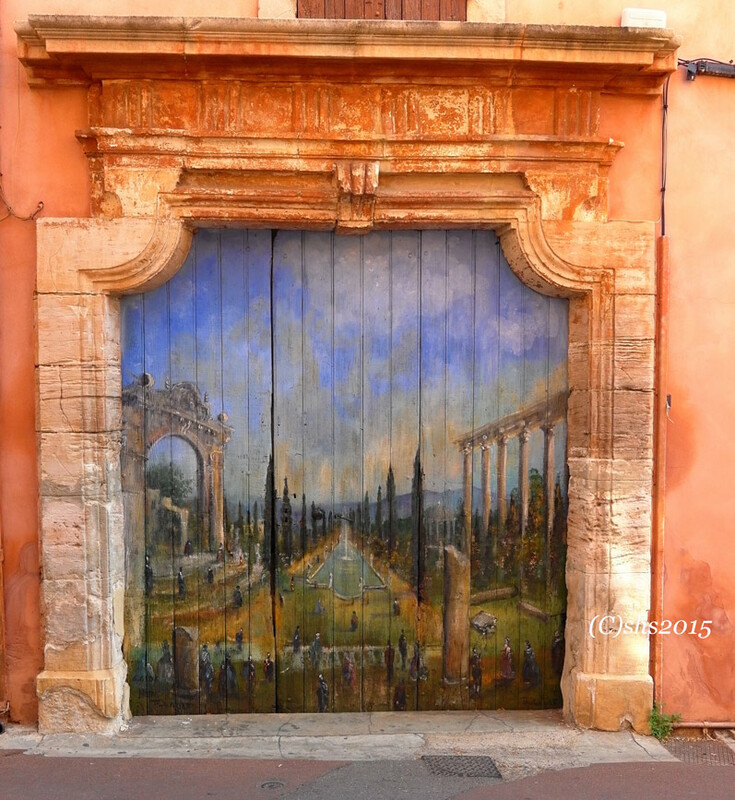 Gallery | This entry was posted in Architecture, Doors and tagged Doors, France, Hand Painted Doors, Interesting Doors of the world, Paris, Provence, Roussillon, The Marais. Bookmark the permalink. I like it, Susan. Grand and rustic at the same time! Thanks Fannie, I wish I had the background information on this door, who painted it, etc. But whoever did this piece of art, thank you! It’s beautiful! Wow, what a beauty! I’d love a door like that, or one of my external walls with such a painting on it. HI Yvonne! This door would be amazing as wall art!